One of the Largest Selections in the State of New Jersey! When you eat the best, you feel your best. That’s part of the reason why we’ve been delivering the state’s freshest produce since 1959. You expect quality and we thrive on it. Delicious Orchards produce department is unparalleled for so many reasons. Everything is continuously inspected to assure the utmost quality, from the time it arrives at our docks until you pick it off our shelves. Perfection tastes so good! 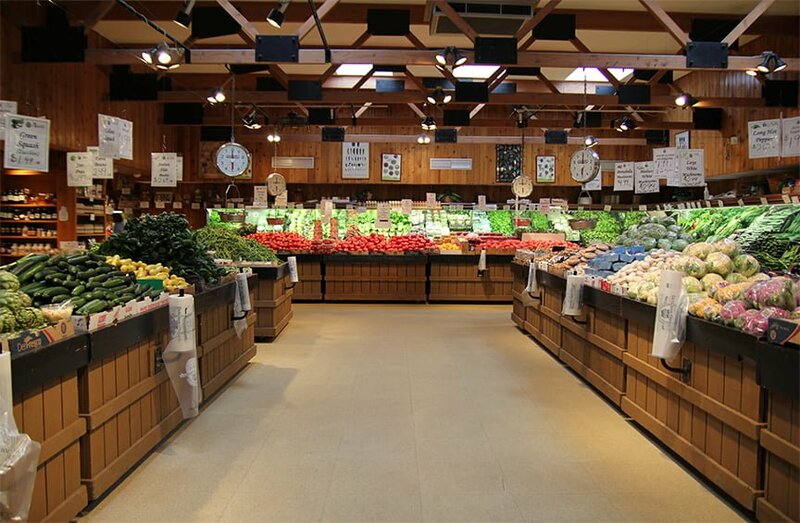 Being located in the heart of the Garden State, when in season we are able to stock our bins full of locally grown produce. With farming in our roots and staying true to our community we have built relationships with local farmers that continue from generation to generation. To sell to Delicious Orchards means you grow the very best. When we are not able to get our Produce locally we will go to different markets for the best available. Even if it means from other parts of the world! No matter where the produce is from it is fresh and the best. Do we offer Organic Produce? Yes we have a section devoted to just Organic Produce and other various Organic Products. Please follow this link to find out more information on our Organic offerings. Have any questions? Not sure about a particular pairing? Call at 732-462-1989 or the next time you are visiting ask a member of our friendly staff!